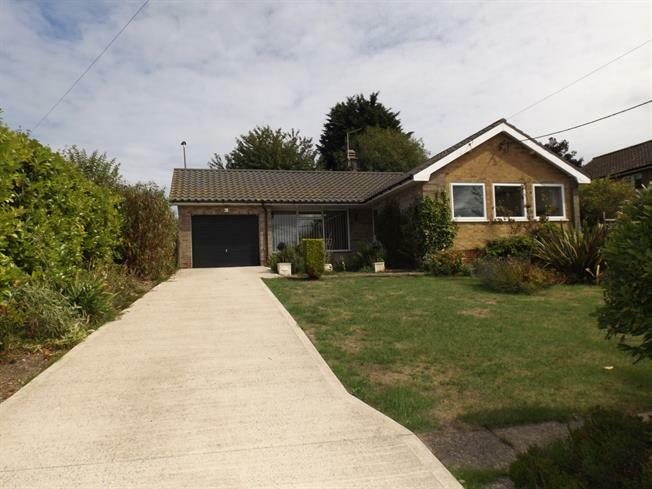 4 Bedroom Detached Bungalow For Sale in Cromer for Fixed Price £350,000. Offered with vacant possession is this improved detached bungalow which comprises entrance hall, lounge open plan to dining room which is open plan to the kitchen, there are three bedrooms, bathroom and a study / bedroom four leading to the utility room and conservatory. There is off road parking leading to the garage which has a wet room to the rear. The home has gas central heating and double glazing. Access to loft space, two built in cupboards and radiator. Front aspect double glazed window, radiator, open fireplace and surround, open plan to the dining room and kitchen. Side aspect double glazed window, double glazed doors to garden, feature floor, open plan to lounge and kitchen. Rear aspect double glazed window, double glazed door to the conservatory, range of base and wall units with working surface over, stainless steel sink and drainer, plumbing for washing machine, tiled floor and tiled splash backs, wall mounted gas fired boiler and radiator. Double glazed construction with double glazed doors to the front and rear, power and light. Two front aspect double glazed windows, radiator, ranged of fitted bedroom furniture comprising wardrobes, drawer units and bedside cabinets. Front aspect double glazed window and radiator. Side aspect double glazed window, radiator, suite comprising low level WC, wash hand basin and panelled bath with shower unit over, tiled floor and surrounds. Situated to the rear of the garage. To the front of the property there is off road parking leading to the front of the garage, there are lawned areas with various flower and shrub displays, pathway leading to the side garden. The rear garden is mainly laid to lawn with fruit trees, two garden sheds, greenhouse, wood store, outside tap and lighting, rear pedestrian gate leading to the Norwich road.